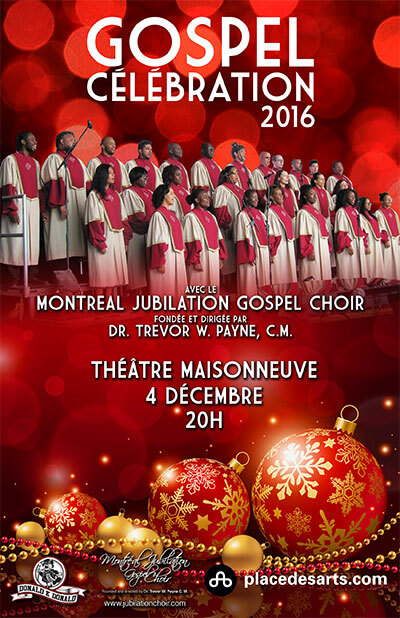 Founded and directed by Dr. Trevor W. Payne, C. M.
Dr. Trevor W. Payne C.M., founder and director of The Montreal Jubilation Gospel Choir, is back to lead this internationally renowned Gospel ensemble into in its 34th anniversary holiday concert. Expect these holiday favourites and inspiring gospel hymns to warm your hearts just in time for Christmas. It was in 1982 that Dr. Payne C.M., a native of Barbados, started, with Daisy Peterson Sweeney (sister of Oscar Peterson), what is now the MJGC. It was to be a one-time event. The group, needless to say, hasn’t stopped singing ever since! An annual holiday event that’s not to be missed!